In just a few days time, the embargo for the Metal Gear Solid V: The Phantom Pain previews will end, and we will be getting a lot of new impressions on the highly anticipated title. Both Xbox: The Official Magazine and Official PlayStation Magazine in the UK have featured the game on the cover for their next issue. 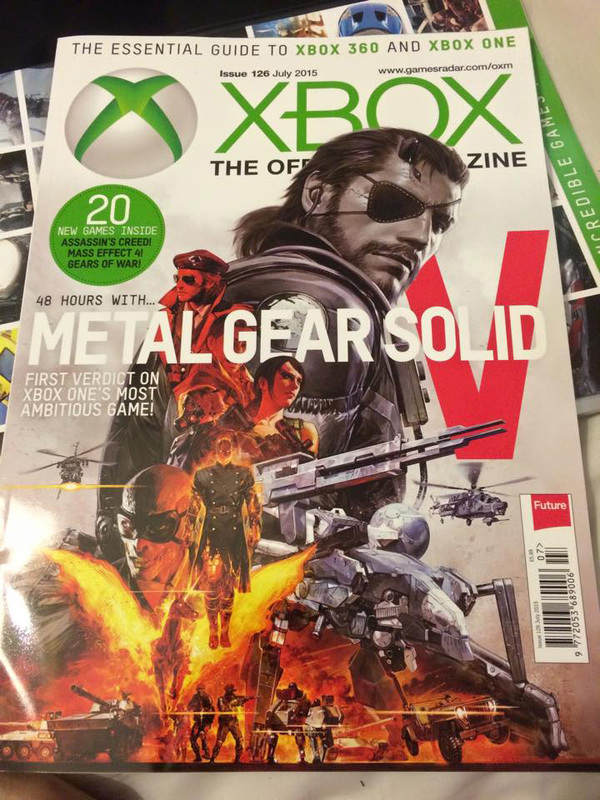 Xbox: The Official Magazine shows a brand new artwork on the front, but be warned: it provides a clear look at the new Metal Gear, which may be considered a spoiler. 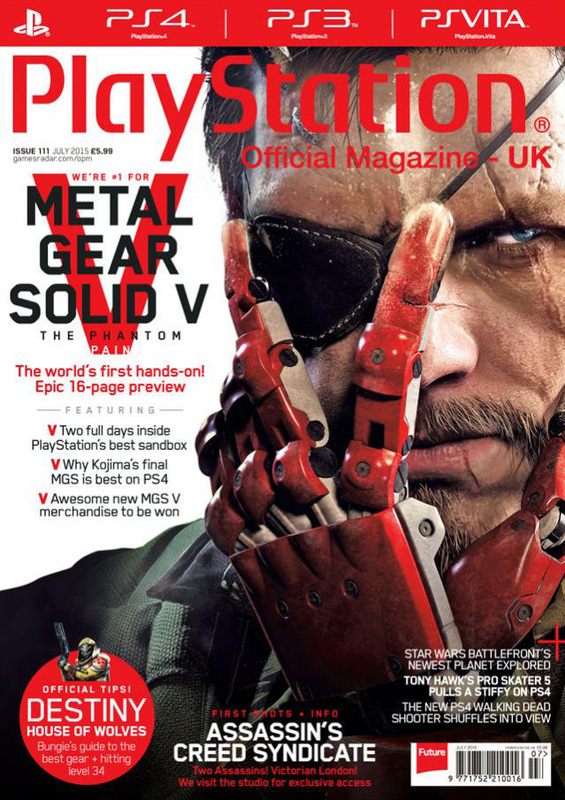 Official PlayStation Magazine: In a world first, OPM spends two full days with Metal Gear Solid V: The Phantom Pain for the ultimate hands-on verdict. Our 16-page feature is packed with gameplay impressions, mission revelations and secrets (you’ll never guess what we managed to get up to with that famous cardboard box) – and is essential reading for any MGS and action-adventure fan. No magazine brings you more on Metal Gear than OPM. On this cover you can also see the ‘Man on Fire’ in a less burned state, once again making it clear that he is Volgin from Metal Gear Solid 3, as he’s wearing the exact same outfit. On the bottom of the image various vehicles can be seen: tanks, jeeps, and the bipedal mech Snake will be able to take with him on his missions.